Home » Cavdeal , condominium , Paseo Verde , Paseo Verde at Real , real state » have a green community at "Paseo Verde at Real"
have a green community at "Paseo Verde at Real"
Maverick developer, LEED INC., the property developing arm of construction professional, Cavite Ideal International Construction and Development Corporation (CAVDEAL) bring you the first green community in the South, the Paseo Verde at Real. Paseo Verde at Real is where environment and residents live together conscientiously and enjoy the importance of existence of each other. 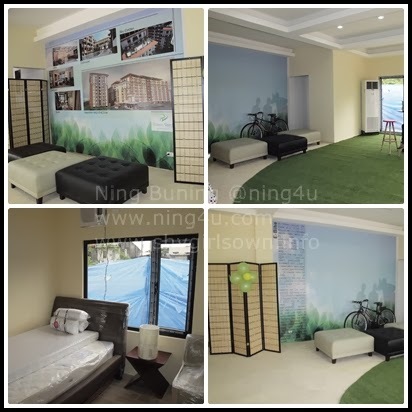 Located at the heart of Las Pinas specifically at Pulang Lupa Uno, the place where the newest 'green'landmark of the city. A 1.1 hectare of mid-rise condominium will be develop that houses open spaces, running path, playground and other recreational activity areas. Features includes an energy-efficient streetlights that get energy from solar panels, it also has rain catchment facility that recycles rain, rain garden at the cistern to filter water naturally, the units door frames and jams are recycled construction materials for a rustic feel ambiance, pocket garden everywhere, large glass windows. More so, a bike facility complete with bike lanes, bike racks where lovers of the activity can park their equipment safety. Added to that the project also put charging stations for e-bikes. A condominium that truly have concern for the environment and the people within. Check for them at Real St. Pulang Lupa Uno, Las Pinas for more details.